Experience the worldâs most enchanting and timeless love storyâretold with a dark and realistic twist. A BEAST LIVING IN THE SHADOW OF HIS PAST Reclusive and severely scarred Prince Adam Delacroix has remained hidden inside a secluded, decrepit castle ever since he witnessed his familyâs brutal massacre. Cloaked in shadow, with only the lamentations of past ghosts for company, he has abandoned all hope, allowing the world to believe he died on that tragic eve twenty-five years ago. 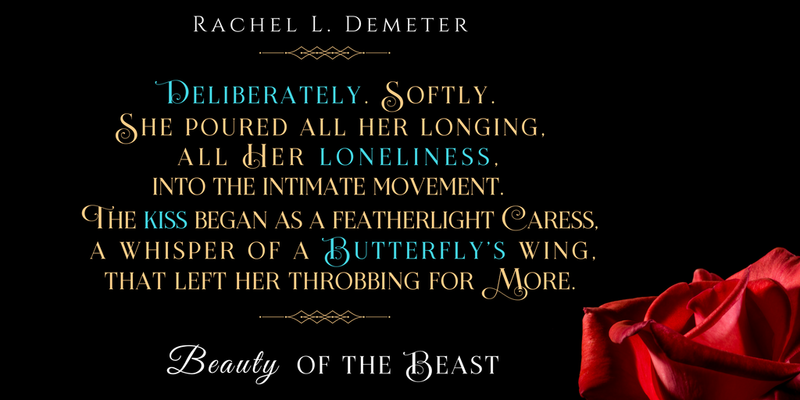 A BEAUTY IN PURSUIT OF A BETTER FUTURE Caught in a fierce snowstorm, beautiful and strong-willed Isabelle Rose seeks shelter at a castleâunaware that its beastly and disfigured master is much more than he appears to be. When he imprisons her gravely ill and blind father, she bravely offers herself in his place. 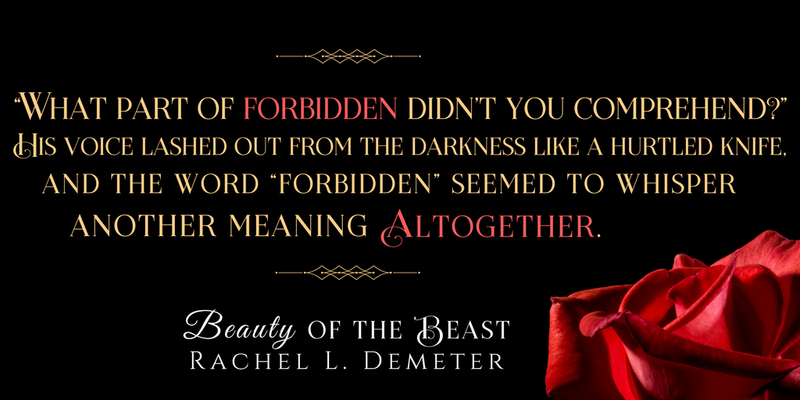 BEAUTY AND THE BEAST Stripped of his emotional defenses, Adamâs humanity reawakens as he encounters a kindred soul in Isabelle. Together they will wade through darkness and discover beauty and passion in the most unlikely of places. 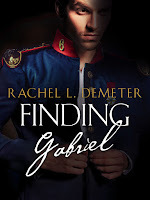 But when a monster from Isabelleâs former life threatens their new love, Demrovâs forgotten prince must emerge from his shadows and face the world once moreâ¦ Perfect for fans of Beauty and the Beast and The Phantom of the Opera, Beauty of the Beast brings a familiar and well-loved fairy tale to life with a rich setting in the kingdom of Demrov and a captivating, Gothic voice. 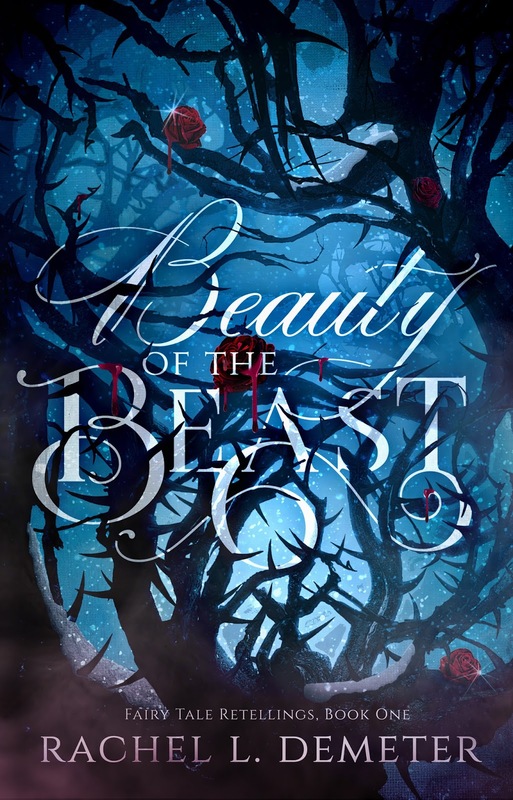 Beauty of the Beast is the first standalone installment in a series of classic fairy tales reimagined with a dark and realistic twist. 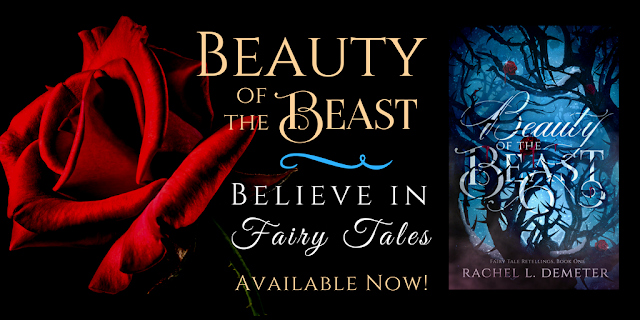 Disclaimer: This is an edgy retelling of the classic fairy tale. 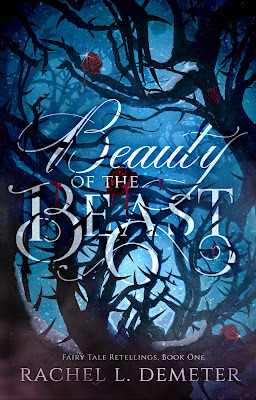 Due to strong sexual content, profanity, and dark subject matter, including an instance of sexual assault committed by the villain, Beauty of the Beast is not intended for readers under the age of 18. Arms sprang out from the darkness. They spun her full circle and slammed her body against the kingâs portrait. Isabelle gasped, more in shock than from pain, as she stared into Adamâs deformed face. The lantern flickered behind his massive form, casting his cloaked body in silhouette. But she saw enough to know he was far from pleased. Rage and frustration radiated from his body like a palpable force. âI warned you to stay out of here,â he said, his voice dangerously cold and deep. Those rugged vocals vibrated against her body and seeped into her marrow. âWhat part of forbidden didnât you comprehend?â His voice lashed out from the darkness like a hurtled knife, and the word âforbiddenâ seemed to whisper another meaning altogether. Isabelle tried to answer but failed to find her voice. Indeed, her vocal cords had turned to solid ice, as numb and cold as the blood rushing through her veins. She couldnât breathe; she felt like she was suffocating. She struggled under the weight of Adamâs colossal body and battled to free herself. He merely gave a low chuckle and pressed her firmly against the portrait. He looked otherworldly at that moment, like an angel of death seeking vengeance. Both beautiful and monstrous, his cool, sapphire eyes overflowed with warring emotions. In spite of his harsh and ruthless exterior, she detected a quaver in his voice and saw that his large, cloaked shoulders trembled. The darkness in his soul cast a shadow that embraced her; as she peered up at him, she knew he was drowning in the turbulent waters of a past time. âIâIâm sorry. Please, Adam. Iââ Her gaze shot past his body and over the wreckage of a past life. She thought of her private chamber againâof the stale perfumes and outdated garments. Anger and desire warred on his face, twisting his features into a mess of both monster and man. âFind anything of interest, aside from my musical box? Come, come. You went through such great trouble to get here,â he asked, his voice now threaded with both anger and something else. She attempted to duck under his arm, but he moved swiftly, capturing her in the crook of his elbow. Reeling her toward him, he emitted a low, haunting chuckle that swelled the eastern tower to its rafters. 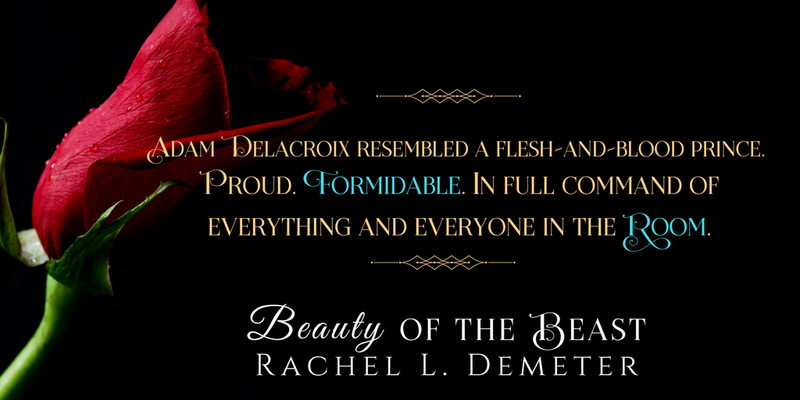 She was back where sheâd startedâpinned against the portrait, Adamâs body serving as a flesh-and-blood blockade. He leaned closer still. His faceâs uneven skin brushed against her neck, the black waves of his hair tickled her chin... His thick arousal expanded against her, reminding her of what he was capable ofâand of her sheer vulnerability. His lips teased the base of her throat. 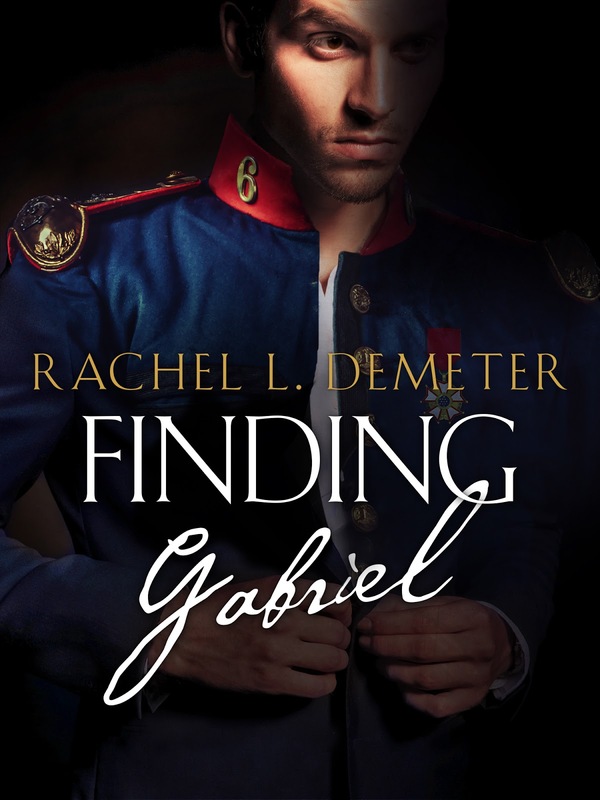 Cursing her traitorous body, Isabelle gasped at the gentle scraping of his teeth. 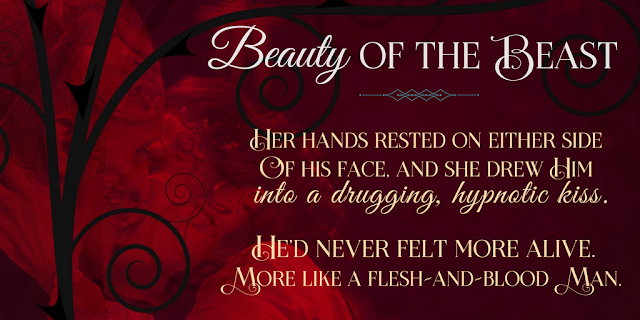 His tongue and lips tormented her throbbing pulseâjust barely, stirring her skin in a mere ghost of a touch. Isabelle entered the ballroom at precisely eight oâclock. Moonlight, bone white and lustrous, threaded through the grand windows like prying fingers. The illumination set the medallion flooring aglow. Columns lined the oval-shaped room and graced a domed ceiling. A handsome grandfather clock towered in the corner, ticking off the seconds with a pulsating drone. Candelabras reached around the edge of the circular room and lurked like quiet sentries. Their wavering candles mated with the moonbeams and threw golden patches across the intricate marble floor. Incredible silence surrounded Isabelle, pressed into her very being, as she slipped into the heart of the ballroom. She could almost hear the gay whispers of ladies and the delicate swishing of their lace fans. She smelled the sweet scents of their exotic perfumes and could hear the distant, ghostly echo of a pianoforte. And she knew that, despite the castleâs neglected state, it had once been a place of unrivaled beauty and glamour. Then she came to a standstill as a soft touch grazed her bare shoulder. Large, silk-clad hands rotated her body with a startling gentleness. A breath escaped her lips as she drank in Adamâs proud, towering form. 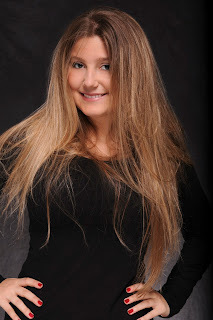 Her mind slipped back to the previous day and nightâto their sensual kiss in the stables. He resembled a flesh-and-blood prince. Proud. Formidable. In full command of everything and everyone in the room. Even a hint arrogant. Her heart hammered, threatening to burst. Suddenly she felt like sheâd been thrust into a world of magic and romantic hushed secrets. The scars look out of place on his smirking features, she mused with a pang of sadness. And dressed in a cascade of cornflower damask and lace, the sparkling tiara half-buried in her curls, she felt like a princess. Isabelle felt clumsyâas if she had sprouted two left feet. Sheâd spent her youth traveling the countryside and coastline with Papaânot blushing behind a lace fan or dancing in lavish ballrooms. Adam, however, danced with a haunting grace; his movements executed with a fine, cultured polish. He clearly hadnât been raised in the back of a wagon, she mused. Prince-like and regal, heâd danced this dance many times before; maybe it had been in another place and another life, but his confident, masterful steps gave the truth away. I am falling for himâfalling fast and hard. Indeed. Sheâd been falling for him for some time. âYouâre a dreadful dancer,â he murmured against her ear. Paired with the husky baritone of his voice, the insult sounded rather like an endearment. Regardless, she returned the blight with a swift and playful vengeance. âPerhaps my partner is to blame.â She cocked her head back and captured his bright gaze. He offered no retort aside from the arch in his thick brow. She felt like sheâd fallen into one of her fairy tales. âOh, Adam... I never want this moment to end,â she heard herself whisper against his coat. Adam shifted back and forth in a tantalizing rocking motion, slow dancing to a melody only he could hear. As she melted into his embrace, the candelabras crackled and seductively flashed, accompanying each of their steps. Then he bowed his chin and hummed a beautiful tune against her forehead. It sounded achingly sweet, like a tender lullaby from the depths of a dream world. 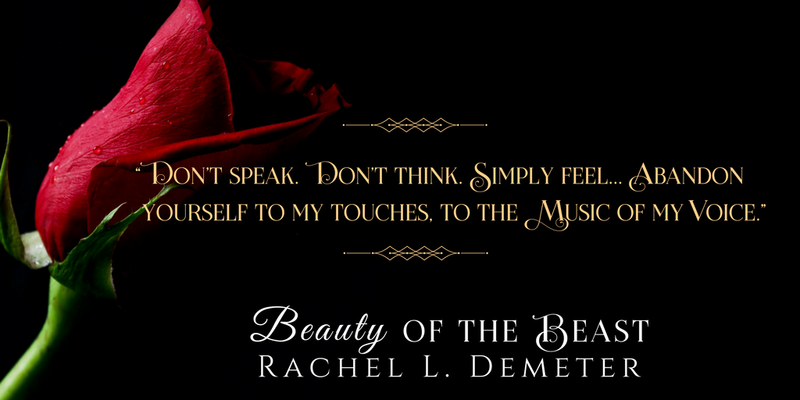 The force of his vocals resonated deep inside her, massaging Isabelleâs body with delicious caresses. Her heart resembled a drumâand she trembled in time with its beat. That immaculate baritone stoked her imagination, igniting an inferno deep within her soul. Closing her eyes, she rubbed her cheek against his coatâs rugged material and sparkling buttons, abandoning herself to his rhythmic sways and husky baritone. Drawing her into its sultry, comforting depths, his voice surrounded her like liquid velvet. With increasing pressure, his palm swept up the length of her back, down and up, tickling her spine with each soothing movement. Heated breaths wafted against her hairline, stirring the curls about her shoulders. His every gesture felt numbingly gentle, executed with a startling grace. Isabelle had to remind herself to breathe, lest she faints from the pleasure of it all. They danced like that for close to an hour, moving in perfect unison to the calming melody of Adamâs voice, the slick medallion floor sliding beneath their feet like some magical carpet. The marble ground reflected their waltzing images with the ease of a looking glass.